Yesterday I made an unexpected stop at Sam’s club. I had a laser hair removal appointment but ended up getting there 30 minutes early, so I popped into Sam’s club to pick up bottled water and paper towels. I ended up getting two things that I’m just LOVING right now. 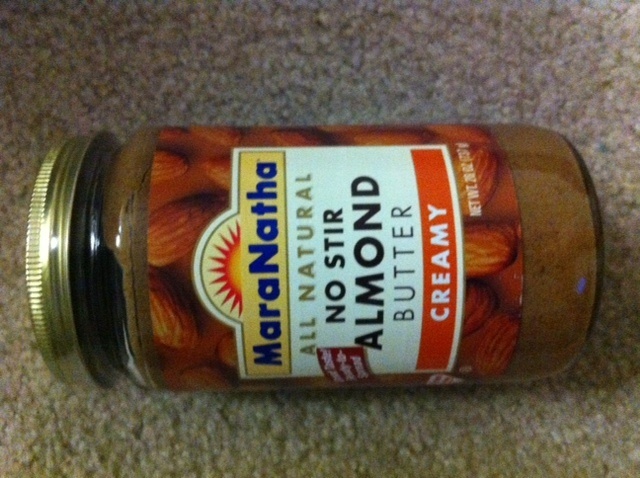 I’m so in love with almond butter right now, but this bad boy is HUGE and even better costs the same as buying one little jar in a regular store. Sorry I’m not sorry that I bought two of these bad boys and will probably stash one at work. 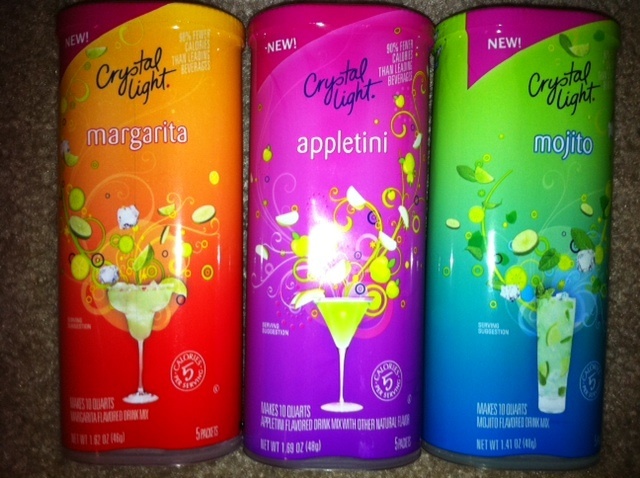 Crystal light mocktails… ummmm hello freshman year of college, where Katie, Brittaney and I mixed crystal light and vodka (and some water too) for the poor college kid drink (sorry mom and dad, I did drink in college). I can’t wait for november when Katie will be back from Europe and Brittaney will be visiting! There will be a lil crystal light + alcohol drinking going on. Dearest Meg I wish you were coming too. I may make my own before waiting the 3 weeks before this can happen (i love anything that involved mojitos). Sorry for the short post but I am waking up at 5 am to go to best buy to pick up my iphone 4s so I can hopefully get it before work. Thinking I may do a video blog to show you how cool it is. Plus you all will have to meet my new assistant Siri somehow. I’m back! I need to catch up on everything I’ve missed, I’m so behind on blogs! Missed you! 🙂 And those appletinis look delicious! I missed you too! I’m so glad you’re back… now I want to know where you’ll be moving too!